The Cessna Skyhawk Model 172 is the world's most popular Single-Engine Private Plane. The Skyhawk aircraft is an all-metal, single-engine piston, high-wing monoplane with a four-person seating capacity including a crew of one or two. 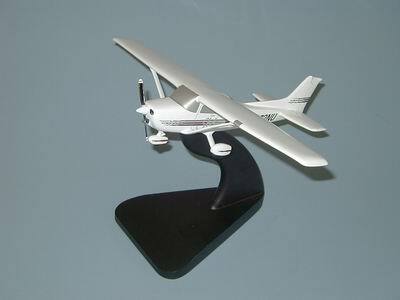 Due to it's popularity, the Cessna 172 is also one of the most recognized airplanes. Solid Resin. Scale 1/32. Wingspan 13 1/2 inches, Length 10 1/8 inches.